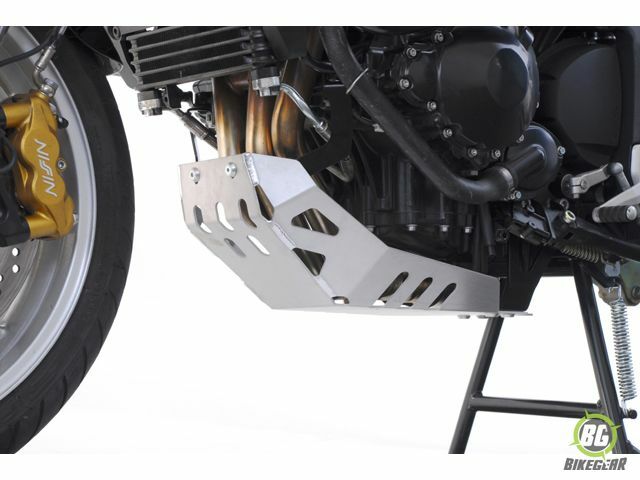 SW-MOTECH aluminum skidplate for heavy-duty, light-weight protection. 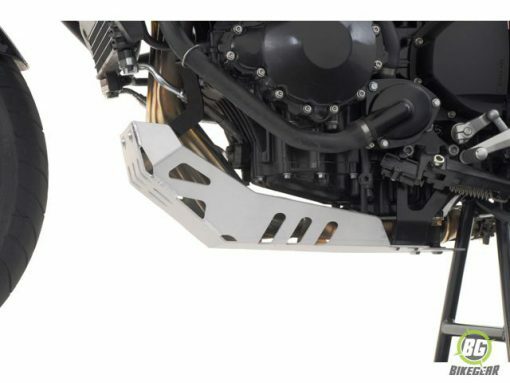 SW-MOTECH aluminum skid-plate is constructed of a 4 mm-thick aluminum base plate and 3 mm-thick side plates for heavy-duty, light-weight protection. Where the base plates and side plates overlap, it forms a riveted 7 mm-thick rail for extra rigidity. Base plate includes side protectors that wrap around the engine block to provide both bottom and side protection. 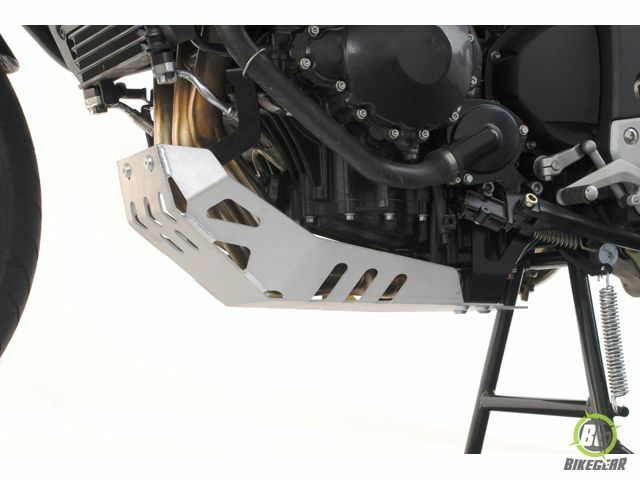 This skidplate can be used with or without SW-MOTECH’s centerstand for the Tiger 1050.